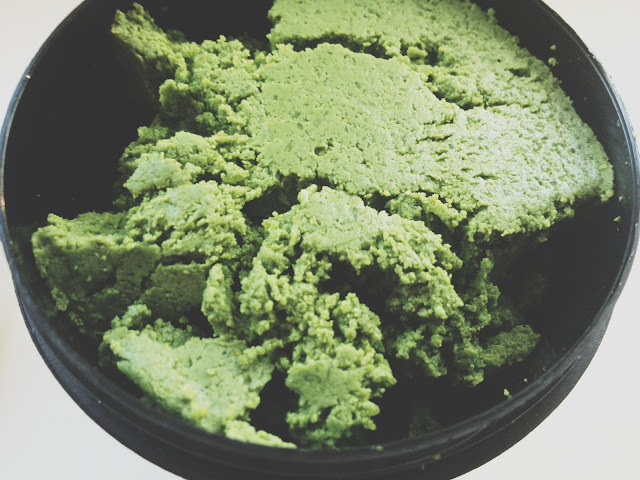 "Herbalism" is possibly the most mesmerising cleanser that I have ever tried because of the way it looks, what is in it, how it feels on my skin and also the results it produces. 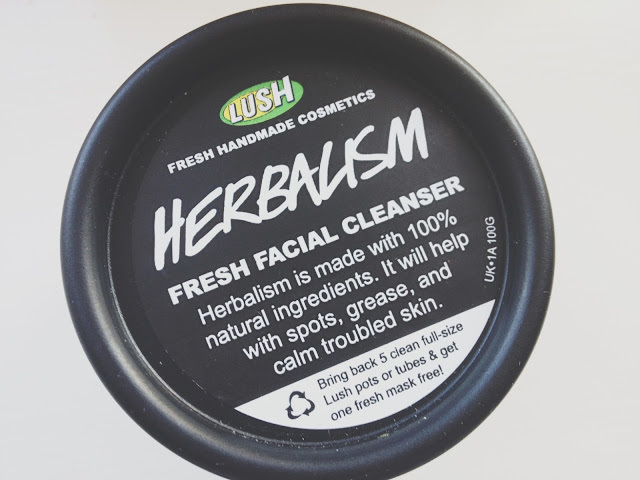 On a recent trip to Lush cosmetics, I was talking away to the sales assistant who was brilliant at explaining to me all about the different products, and she mentioned this facial cleanser which is 100% natural and in turn is brilliant for your skin. The ingredients include Ground Almonds, Nettle, Rosemary and Rice Vinegar Extract, Rice Bran, Gardenia Extract, Rose Absolute, and Chamomile Blue Oil, which are all renowned to be great for problem skin. A couple of weeks ago, I don't even know what happened but my skin just went nuts. It was red with quite big spots and became very oily, and I couldn't get it to calm down. My usual cleanser was doing its job in making my skin feel clean but it didn't help me with any of the problems. I love the colour of this cleanser, a fresh green, and the feel of it as you can feel the almonds which I could tell would add the elements of scrubbing to the cleanser. You scoop a pea sized amount and add a tiny dab of water to make the cleanser go creamy, then rub into your skin. I was skeptical at first as it leaves skin quite moisturised and doesn't make it feel "squeaky clean", but damn my skin felt great after I dried it! I also use "Breath of Fresh Air" toner after this, and it's the perfect combination. I wake up in the mornings and my skin is bright, there are significantly less red patches and spots, and I know that it's getting the correct treatment as the ingredients are all natural. I am really impressed by this cleanser, there is nothing that I can even pick out as a negative except for maybe the price, but then I don't mind paying a little more for a product that really works AND is good for my skin. 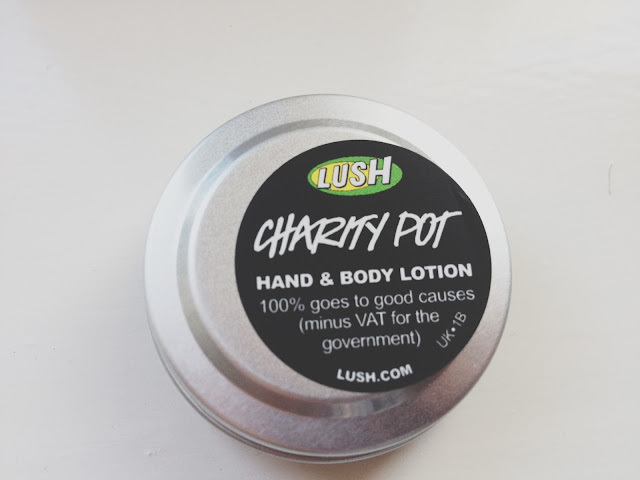 I also picked up this little "Charity Pot" for £1, the funds go into Lush's Charity Pot Fund and get distributed through their favourite charities. The little pot is so handy to have and I keep it on my desk as a hand moisturiser. Works wonders, smells great and the money goes to a good place. What's not to love about Lush?! Thanks for sharing! I have been using their charcoal cleanser which is supposed tt be help with troubled skin but I am mot seeing great results so I might give this one a try! by the way, I am having a giveaway on my blog, come and participate! I always think Lush products look so disgustingly unappealing but are just sooo refreshing on the skin. I bet this is no exception!